What Should the Role of G-20 Countries Be in Reforming the WTO? They should focus on a three-pronged approach to restore confidence in the global trading system. The current wave of protectionism shows no sign of abating and, therefore, brings into question the ability of the WTO to disabuse such unilateral actions and prevent escalating trade wars. The reason for this is simple. The Trump administration believes that the current rules of the WTO do not provide a level playing field for the US, causing loss of jobs in that country. However, besides the weaknesses of the US social system to address trade-related adjustments, a factor behind the US-led protectionism is the inability of the WTO to tackle some challenges of modern trade. Therefore, it is vital to understand the rise of US-led protectionism in that light and how its likely escalation may be countered by reviewing the institutional framework of the WTO. Initially, with rhetoric and subsequently with actions, President Trump has clearly stated that his trade policy stance is different from that of his predecessors. After withdrawing from the Trans-Pacific Partnership (TPP) agreement and forcing its immediate neighbours – Canada and Mexico – to agree with the terms and conditions of the so-called NAFTA (North American Free Trade Agreement), Version 2.0 – the US-Mexico-Canada Trade Agreement (USMCA) – the Trump administration has now triggered a full-blown global trade war by unilateral hikes in import tariffs on steel and aluminium from various countries, especially with its major trading partners such as China, Canada, Mexico and the EU, and that too under a seemingly untenable “national security” concern. While in the case of Canada and Mexico such measures might have been taken care of by the USMCA, China has retaliated and the position of the EU is still unclear. Moreover, it has also held up the appointments of judges to the WTO’s Appellate Body, thereby undermining the efficiency of the WTO’s dispute settlement system. Interestingly, the US continues to appeal against many recent decisions by the designated WTO panels on trade disputes either brought about against/by them. Therefore, the US approach to resolve trade disputes at the WTO seems rather odd. Also read: Why Has the US Launched an Offensive Against WTO’s Dispute Settlement System? This erosion of an effective dispute settlement system can potentially escalate trade wars and cause a systemic failure to the global trading system. In this context, there are three important factors that should be considered for resolving the current crisis within the WTO, which can create the potential risk of intensifying trade wars. All three reflect deeper and structural problems in the WTO-led global trading system. First, the founding principles of the multilateral trading system do not recognise the changed realities of global value chains (GVCs)-led trade. The fact is that today, GVCs account for two-thirds of global trade, and labour cost arbitrage is no longer a pre-requisite for that as it used to be a decade ago. The WTO’s existing rules were designed in the context of 20th-century trade patterns in which the production process was simple as goods were being produced in one country and exported to others. The emergence of a 21st-century trade pattern based on supply chains demands ‘beyond the WTO’ disciplines. Should they be ‘beyond’? Can we treat them as ‘exogenous’ factors? Should they not be ‘endogenous/embedded’ in the WTO-led multilateral trading system? Secondly, the US and other developed countries strongly believe that the fundamental principles of the WTO are providing undue advantage to some developing countries, particularly China. For example, the WTO rules on special and differential treatment (S&DT), subsidies, local content requirements, export incentives provide greater flexibilities to developing countries to use their trade policies to promote economic development, while imposing more disciplines and restrictions on the US and other developed countries. Thirdly, it is a well-known fact that the multilateral trading system has been overtaken by a proliferation of bilateral and regional trade agreements, whose scope and coverage are beyond the WTO’s rules. Developed countries are trying hard to institutionalise new trade disciplines such as in the area of e-commerce, MSMEs (micro, small and medium enterprises), investment facilitation and gender dimensions of trade at the WTO. On the other hand, there is strong resistance from some developing countries such as India and South Africa on placing new trade rules at the WTO. This has completely log-jammed on-going WTO negotiations on many existing issues such as disciplining trade-distorting domestic subsidies on agriculture. It is clear that the WTO is facing adaptability as well as adaptability crisis to handle new and complex trade issues of the 21st century. Therefore, there is a growing need and demand for urgent reforms of the WTO to protect the rules-based global trading system. Recognising the importance of the WTO in promoting free and fair trade, the EU and Canada have circulated proposals on modernising the WTO. The US has outrightly rejected the EU proposal on reforming the WTO. The US ambassador to the WTO, Dennis Shea has categorically stated that the country’s position is squarely opposite to the EU’s ideas for revamping the WTO’s Appellate Body in which the latter proposes to give the judges longer, single terms and more financial resources for the secretariat. 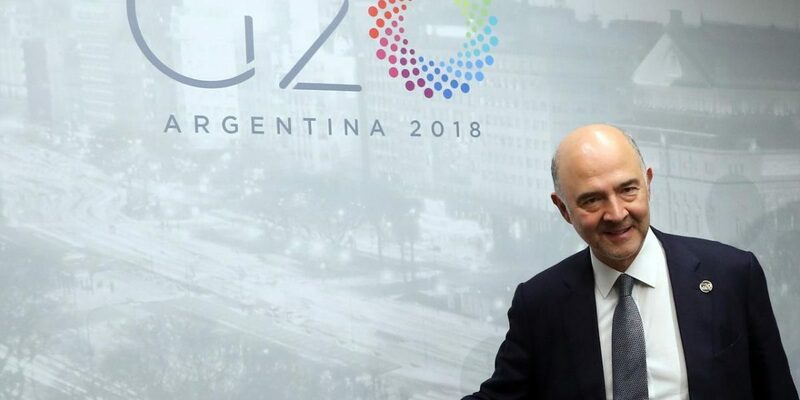 However, given the importance of this matter for global peace and development, the need and urgency of reforming the WTO were recognised by the G20 countries in its recently held meeting in Argentina to revive confidence in the global trading system. They agreed to deliberate on current developments in global trade and possible options to upgrade the WTO rules. Nonetheless and notwithstanding the US objection, the EU and Canadian proposals on modernising the WTO are being discussed at various official and non-official fora in Geneva and other capitals. Therefore, it becomes imperative for developing as well as least developed members of the WTO to express their ideas on WTO reforms, not only just as a reaction to these proposals. In this regard, it is important for India to take a lead role to propose reforms in vital areas such as WTO’s dispute settlement system. Above all, the G20 group of countries should focus on a three-pronged approach to restore confidence in the global trading system. First, they should make a strong call to protect the fundamental principles of the WTO and emphasise that, as against unilateral punitive actions, trade conflicts must be resolved as per the WTO’s dispute settlement system. A deadline must be fixed to resolve the current stalemate on the appointment of judges to the Appellate Body. Otherwise, the WTO members should exercise the option of an emergency vote, once the deadline is passed. Thirdly, other than reforming the WTO’s dispute settlement system, G20 countries need to ‘prioritise areas of reforms’ to improve the functioning of the WTO. There is a need to make a strong call for urgent negotiations on contentious areas such as subsidies. The issue is particularly important in regard to the reporting of hidden subsidies. The current provisions on ‘monitoring and transparency’ provide significant flexibility to the WTO members to manoeuvre their reporting requirements. Having faced the burnt of unilateral trade measures in the 1980s, can Japan – having the G20 presidency in 2019 – take the lead? Despite all these challenges, one must understand that the WTO is an imperative order in the growth of global trade and its relevance to the global trading system cannot and should not be undermined. The need for it is critical to making it stronger so that its rules recognise the realities of modern trade. Last but not the least, future reforms of the WTO must recognise the diversity of its membership and provide adequate flexibilities for the right to trade (for development) of all its members while ensuring a fairer playing field, not just trade liberalisation per se. Pascal Lamy is former director general of the World Trade Organisation. Pradeep Mehta is Secretary General, CUTS International.